How many of you know someone who constantly dates the wrong type of person? Someone who doesn't treat them well. Someone who isn't kind. Or, simply, someone who just isn't a great match. This week, we're talking to Dr. Diana Kirschner, psychologist and best-selling author about why this pattern happens to people and how they can break the cycle. In our interview, Dr. Diana and I talk about how our early life experiences create mental "templates" or "scripts" that set our expectations for what love should look and feel like. These templates become our relationship comfort zones, and without even knowing it, we seek out partners who conform to these templates....even if they're bad for us. Yikes! 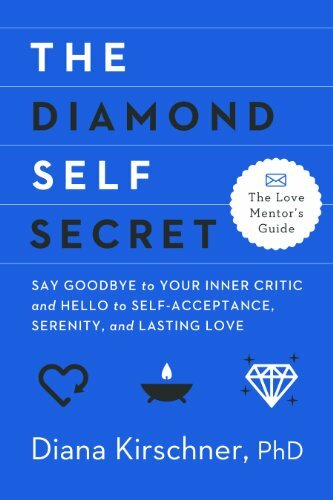 More importantly, Dr. Diana talks to us about how to start rewriting these scripts or templates, starting with an exercise to reveal what she calls your "Diamond Self-Identity." SPOILER ALERT! During her interview, Dr. Diana takes me through an exercise to identify my Diamond Self-Identity. As it turns out, my Diamond Self-Identity name is "Adventurous Goddess of the Sacred and Uplifting Hunt!" And, as a special gift, Dr. Diana has handpicked and trained a team of awesome Love Mentor® coaches. And you can talk with one of them for free for 40 minutes by phone or Skype! If you have any pressing dating or love questions, sign up for your free session now. Just go to http://lovein90days.com/dating-coach/ and you will be talking to a wise helpful Love Mentor® very soon! Just say “April sent me” for VIP treatment! I absolutely can't wait for you to meet Dr. Diana Kirschner!